Our new White Paper provides a comparative overview of IP VPN and Ethernet WAN services, looking at the pros and cons of both, from the perspective of both Service Provider and Customer. We then examine some of the challenges facing the Service Provider community in meeting increasing demands, from both resale partners and end-user customers, for &apos;Wires Only&apos; Ethernet access to IP VPNs, and then in making the transition to offering full Layer-2 Ethernet WAN services. Not least of these challenges is the ability of the Service Provider to offer strong customer service value to their clients in relation to provisioning and troubleshooting, including the increasing need to comply with strict &apos;Service Level Agreements&apos; (SLAs) for network performance. 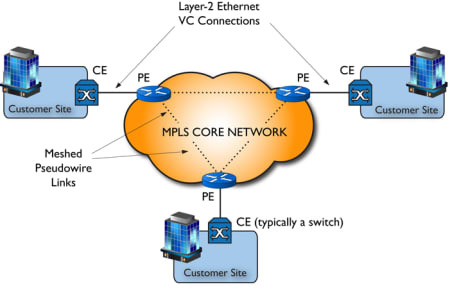 Considering that actual connectivity into their customer sites is almost invariably provided via wholesale &apos;tail&apos; circuits, offering little or no management visibility to the Service Provider at the point of hand-off from WAN to LAN at the customer&apos;s premises, how can this challenge be overcome?